Question: What are the first things I should do if I am hurt? a) Let your employer know as quickly as possible that you think you have been hurt, and request that your employer notify his insurance company. You should be as specific as possible when giving notice. Don't just tell the employer "I think I was hurt." 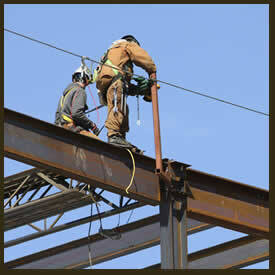 Tell your employer when and where you were hurt, how the injury occurred and all of the body parts injured. Be sure to tell the employer each and every body part that you feel was hurt rather than just the main problem. If you only tell the employer about what you feel is seriously injured this may affect your ability to get treatment and compensation for conditions that were minor at first but worsened with time. Be sure to notify the correct person of your accident. This could be your supervisor; however, if the employer has designated a specific person that is to receive notice, notifying your supervisor may not be enough. If in doubt, ask the supervisor or your Human Resources person if there is a specific person or procedure to give notice of a work related accident. b) Seek medical attention being certain to tell the doctor how you got hurt. Ordinarily, you need to discuss the choice of doctor with your employer. While the giving of notice to your union steward or shop foreman is a good idea, it does not qualify as giving notice to the employer.